A practical way to explore an ancient, tantric yoga path that leads to inner freedom. Richard Miller is profound and powerful. He is humble. A true master. 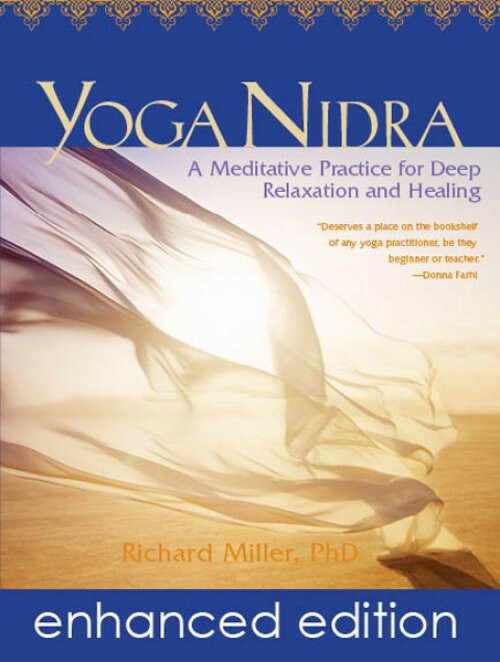 Yoga Nidra is an ancient yoga practice that we are so blessed to have available to us. I used it and overcame my lifelong karmic ties to my ancestors. In one session the cords were broken. Each time the Habit Energies return to inform me of a negativity, I use Yoga Nidra to clear. A really wonderful book +CD. Much more than I anticipated. Ordering from Sounds True was a wonderful experience! I have been looking for this e-book and compainion cd (in the MP3 format) This is the only site that offeres the ebook and the MP3 campainion cd. I confirmed that the e-book came with the cd portion before purchasing the e-book. Customer service was outstanding! I am so happy I found Sounds True. THANK YOU!! I first discoved this book and CD at my local library. The book and CD have added another demention to my daily yoga routine.